Got this from Cathy, while I was browsing and trying to drop Entercards. My Story: We are actually family of artists, my 2 brothers are visual artists and they participated and won in some national arts competitions. Their creativity was passed on to their kids, so I have nephews and nieces who also great in drawings and digital art. I on the other hand loves to do digital scrapbooking and digi photography. I started scrapbooking about 3 years ago and still do it right now, the photography is just recently when I had a digital camera. I also tried my hand in crosstitching way back in mid 90's. 1. 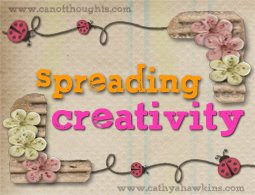 Copy the graphics designed by Cathy and then tell us your story about how you came to start designing. It doesn't matter if it's "for your eyes only" or you are designing for somebody. I want to pass this to my co-digiscrappers : DIANE, MICH, NITA, CHIKAI, BUGE, AGGIE, TEYS, and YOU! hello.. i see that you join in the tag... but how come you alter the link to the master list? I would appreciate if you link it back to http://jvivance.blogspot.com where the original tag was made. hey jenny its not beggy... i just want to make sure that everybody is linking to the masterlist so its not confusing... plus I want the others to benefit as well and be on the master list..
by the way, your blog has been added to the master list.